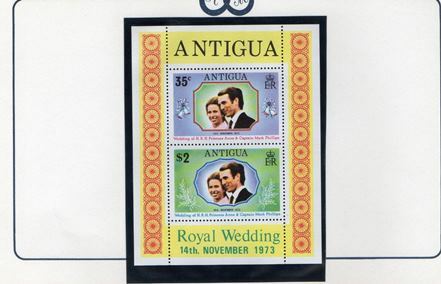 Stanley Gibbons "Princess Anne and Captain Mark Phillips Wedding" Album. 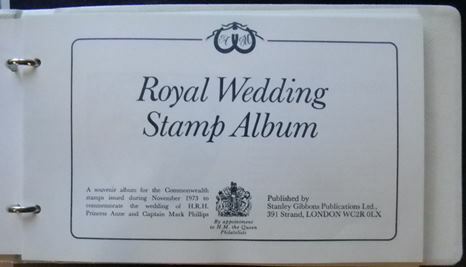 White presentation folder with silver embossed title (see main image) encasing stamps from various Commonwealth countries (see small images below for detail). Aitutaki; Anguilla; Antigua; Ascension; Belize; Bermuda; British Antarctic Territory; British Solomon Islands; Brunei; Cayman Islands; Cook Islands; Dominica; Falkland Islands; Gibraltar; Gilbert and Ellice Islands; Great Britain; Grenada; Grenadines of St Vincent; Guernsey; Hong Kong; Isle of Man; Jersey; Montserrat; Pitcairn Islands; St. Christopher, Nevis, Anguilla; St. Helena; St. Lucia; St. Vincent; Seychelles; South Georgia; Tristan da Cunha; Turks & Caicos Island; Virgin Islands. 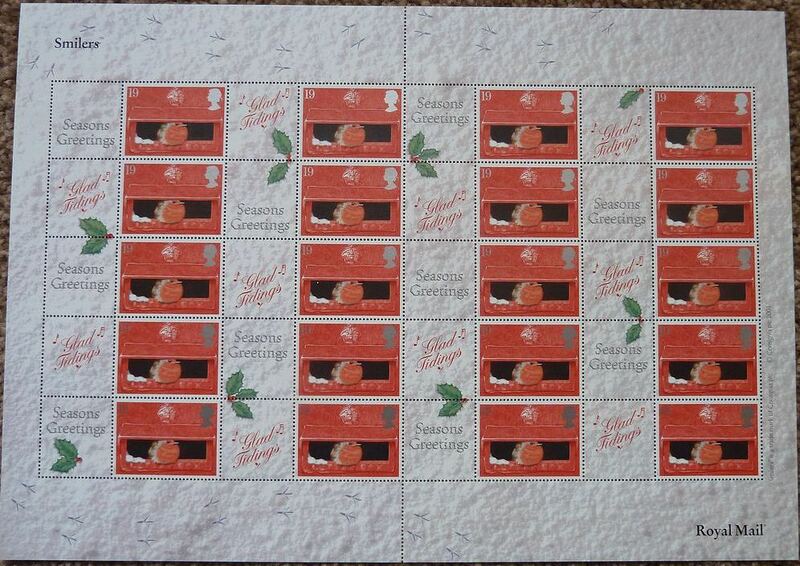 The main album image shows EXACTLY the item you will receive, the smaller stamp pictures below are library images. The inside front page of the album. 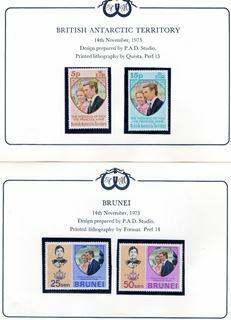 Examples of a couple of pages of stamps. Example of a Miniature Sheet. 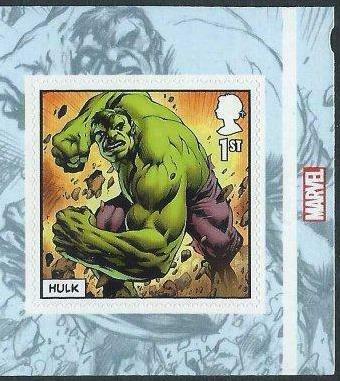 Note: I can supply a larger version of the example stamps image if you cannot expand it yourself.